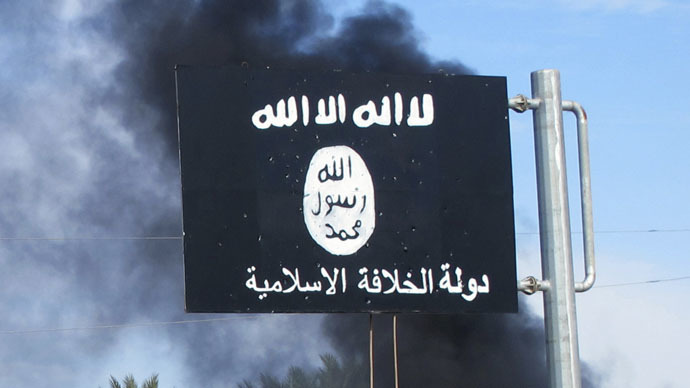 ​A New Jersey man who formerly served in the United States Air Force has been charged by authorities with attempting to join the extremist group known as Islamic State. The US Department of Justice unsealed a criminal indictment on Tuesday this week against 47-year-old Tairod Nathan Webster Pugh of Neptune, NJ in which the military veteran is accused of both attempting to provide material support to a terrorist organization and attempting to obstruct justice. According to the US Federal Bureau of Investigation, Pugh planned to join the group calling itself the Islamic State, also known as ISIS or ISIL, earlier this year by flying from Egypt to Turkey and then crossing into Syria. However, Turkish authorities turned him around after he landed in Istanbul on January 10, and he was subsequently deported to the US and arrested. After Pugh’s planned trip to Turkey was thwarted, authorities in Cairo, Egypt seized various electronic devices from him, including a laptop computer and several USB drives, and then promptly delivered them to the FBI. American authorities obtained a search warrant for the items on Jan. 14 and questioned Pugh the following day when he returned to the US from Egypt. An affidavit in support of an arrest warrant was filed under seal the following day, and Pugh was apprehended in Asbury Park, NJ outside of New York City on January 16 pursuant to a federal complaint. According to documents unsealed by the Justice Dept., charges were not filed until Monday this week when a grand jury returned a two-count indictment. Among the evidence used to charge Pugh with attempting to join ISIS is an electronic message found during the court-sanctioned search of his data in which he’s believed to be telling his Egyptian wife of plans to join ISIS in an effort to wage jihad. “I am a Mujahid. I am a sword against the oppressor and a shield for the oppressed. I will use the talents and skills given to me by Allah to establish and defend the Islamic States,” read a note that authorities believe Pugh wrote to his wife in early January. During his brief stint in Egyptian custody, FBI officials interviewed Pugh’s family members and determined that he had last lived in the US around a year and a half earlier, having spent the span in-between residing in Egypt, Dubai and Jordan, among other locations. Prior to that, Pugh had served in the US Air Force from around 1986 through 1990, but moved to Texas around that time and, according to the FBI, “became increasingly radical in his beliefs. "Pugh then worked as a mechanic for American Airlines and later a US Army contractor in Iraq, according to the FBI. Despite no fewer than two red flags nearly a decade and a half ago, Pugh worked for DynCorp in Iraq from October 2009 through March 2010, working on aircraft avionics. “As alleged, Pugh, an American citizen, was willing to travel overseas and fight jihad alongside terrorists seeking to do us harm,” Assistant Director in Charge Diego Rodriguez of the FBI’s New York Field Office said in a statement this week. Michael Schneider, an attorney for Pugh, told reporters that his client planned to plead not guilty when he’s formally arraigned on Wednesday this week. According to the FBI, Pugh faces a maximum sentence of 35 years in prison if convicted. He’s been charged with attempting to provide material support to a foreign terrorist organization and obstruction and attempted obstruction of an official proceeding: the indictment charges Pugh with the latter because authorities say he knowingly, intentionally and corruptly tried to damage USB thumb drives “with the intent to impair” such items’ integrity and availability with regards to the grand jury proceedings.